Campers Take Home Real Specimens! 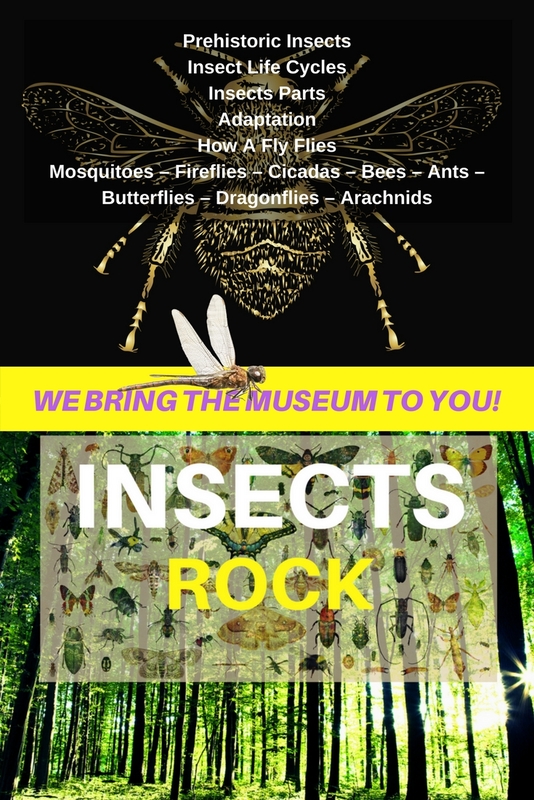 Choose from DINOSAURS, GEMSTONE MINING, OCEANS and our newest program INSECTS ROCK. Choose any one of our 4 Amazing Programs that your campers will absolutely love. One of our most popular choices is the GEMSTONE MINING SLUICE which gets booked up first and fast. 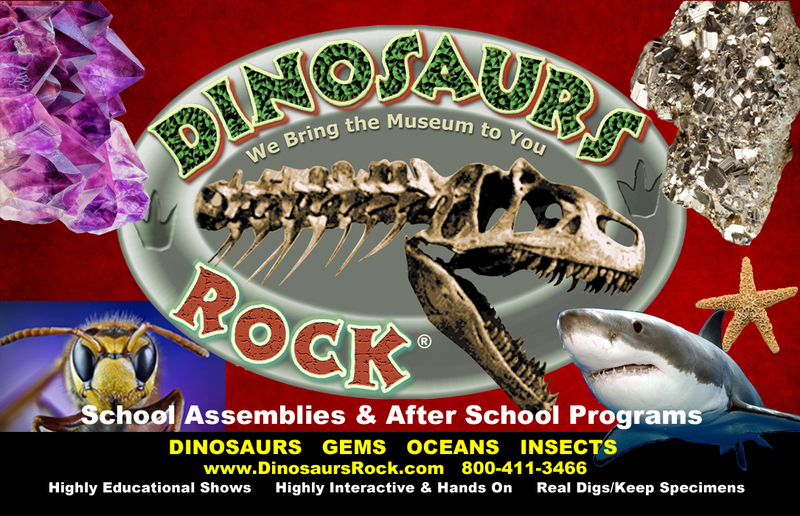 Also choose from DINOSAURS , OCEANS & our newest INSECTS! Good luck being on time for your next activity as your campers are way too busy sifting thru hundreds of stones to discover the special ones they want to keep. Sparkly, shiney, crystals and genuine gemstones as well. Imagine your campers going home having the best day of their lives telling Mom & Dad they found REAL GEMSTONES like rubies, emeralds, aquamarine, sapphire, tourmaline, golden pyrite, agates, and more. Below is our Standard Gemstone Mining. Fast set-up. Campers still find incredible Gemstones to keep & take home. Set-up is easy for the Gemstone Mining Sluice. A flat surface is necessary near water and electricity. We can accomodate 20-40 campers per session. The actual unit is 22-ft to 40-ft long depending on how many campers we need to serve. Quickly becoming our #1 Program. Professional Taxidermy SHARKS, Giant CRABS & many MANY Sea-Life Specimens. Highly Interactive with Keynote Presentation – Best Done Indoors if possible. Requires 5-6 tables for display specimens. Click Here For Complete Details. As Real As It Gets! Campers work in groups on a Specially Created Exclusive DINOSAURS ROCK® Excavation Block. Campers collect upwards of 20+ specimens each. An unbelievable experience. Additional cost per camper for this totally Over-The-Top Amazing Activity! Transform your space into a Museum. You will have a myriad of museum-quality (many genuine and life-size) dinosaur fossils and other prehistoric related items right at Camp. Your campers will see specimens that are 10,000 to over 500 million years old. Highly Intera ctive Presentation – Lots of camper involvement. 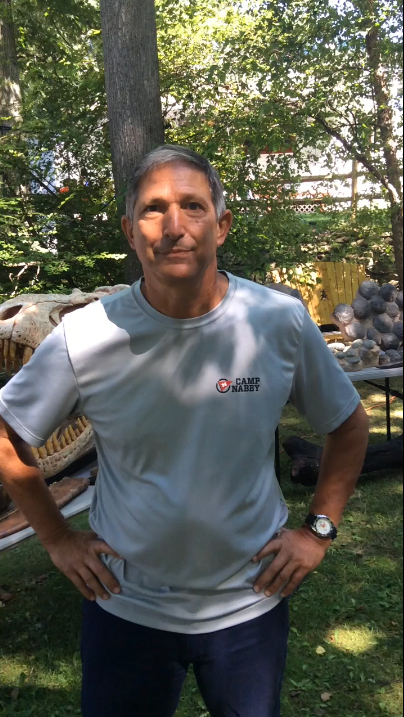 Your Camp Program includes a genuine Fossil Dig. Campers will have the opportunity to discover and keep genuine fossils. 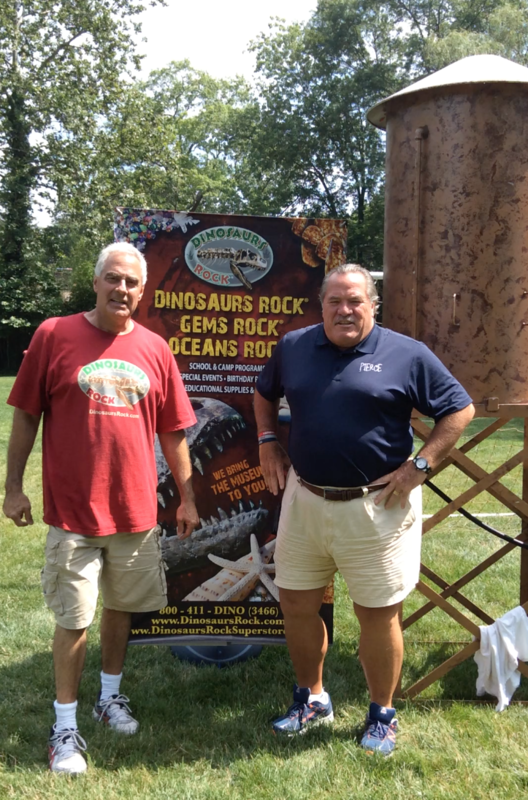 As they participate in this hands-on activity, they will be awed as they uncover genuine dinosaur bone, shark teeth, ammonites, petrified wood and more. Best of all, they will be taking some fossils home, the start of their own collection. 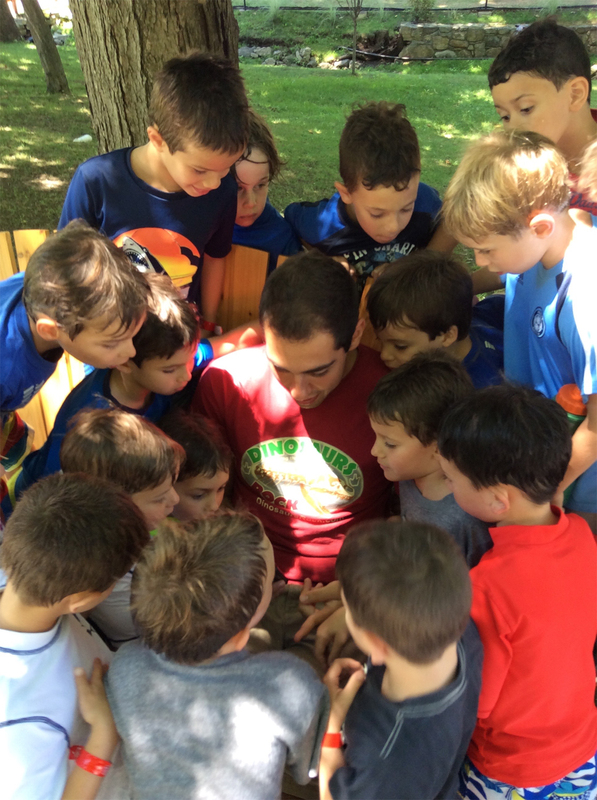 Our Professional Instructors pay attention to your campers and make them feel like a big part of the “show”. Whoa! 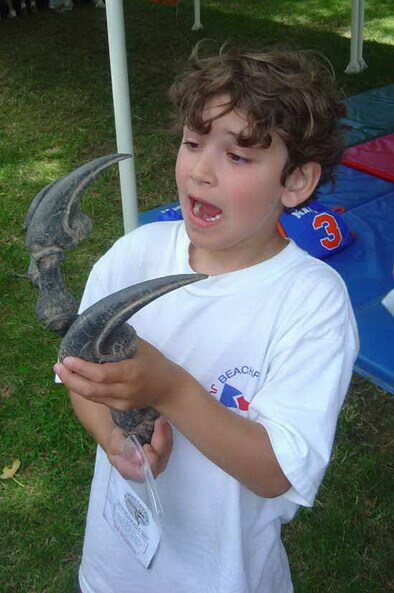 Look how big that Allosaurus Hand is!! Book early to avoid dissappointment. Our Summer availability books up quickly.